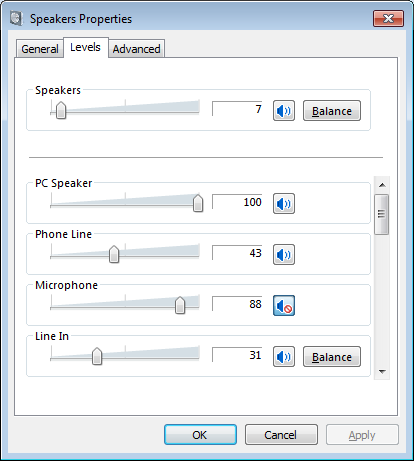 As opposed to the above user interface of Windows, which allows you to set the volume level in percent scale, the command of NirCmd only allows you to set the volume level in decibel unit. So far, I couldn’t locate the exact formula that Microsoft uses to convert the decibel values into %. mutesubunitvolume – Allows you to mute/unmute the subunits of a sound device. Posted by NirSoft on June 29, 2011 at 7:29 am under Utilities Update. 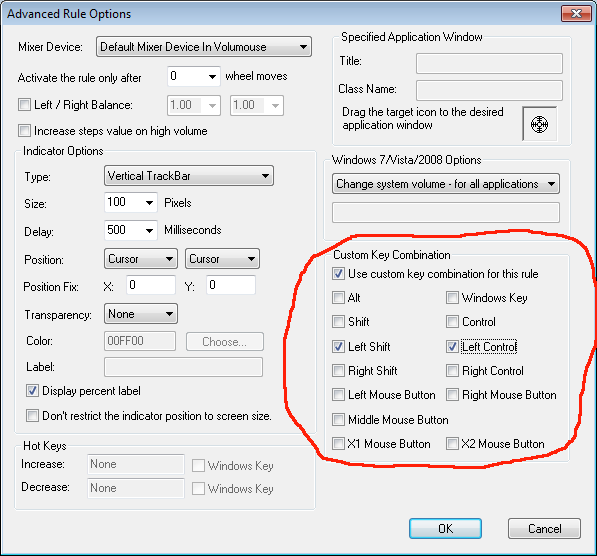 The third Beta of Volumouse 2 has a new feature that allows you to create a rule with any key/mouse click combination you like. 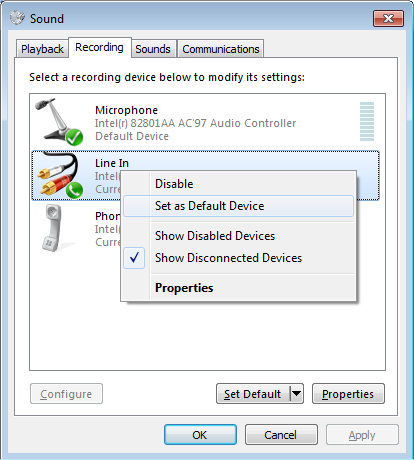 For example: if you want to change the volume when both Windows key and left control key are pressed, simply choose ‘Custom keys are pressed’ in the condition combo-box, and then in the ‘Advanced Rule Option’ window, check the ‘Windows Key’ and ‘Left Control’ options. You can also use this feature with all other conditions. For example, you can choose the ‘Mouse cursor over the taskbar’ condition, and then in the Custom Key Combination, select the Shift key, so the rule will be used only when the mouse cursor is over the taskbar and the Shift key is pressed. Posted by NirSoft on June 25, 2011 at 11:14 am under Utilities Update. Be aware that for now, the ‘From IP’ and ‘To IP’ columns on the upper pane are not filled for IPv6 addresses, but this issue will be fixed in future versions. Posted by NirSoft on June 18, 2011 at 9:45 am under Utilities Update. The new version of BluetoothView utility (version 1.50) allows you to generate a log file that specifies when a device appeared in your area and when a device left your area. After you activate the log file feature, the bluetooth activity will be written into the specified text file, as long as BluetoothView is running. 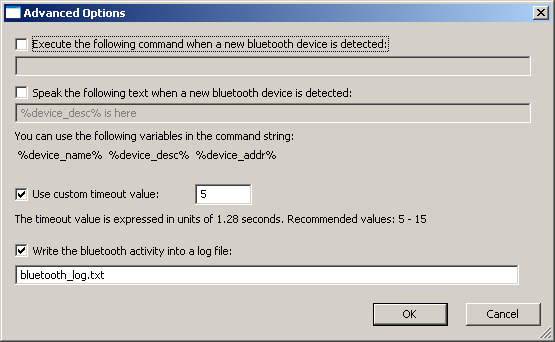 Be aware that a new log line is added only when a device is detected for at least 5 Bluetooth scans (Device Arrival) and when a device is not detected anymore, for 5 Bluetooth scans (‘Device Left’ lines). This Bluetooth log feature is somewhat in a Beta state, and I’ll try to improve it in future versions according to your feedback. Posted by NirSoft on June 9, 2011 at 4:14 am under Utilities Update. If you can’t remember the login password of your Gmail account, there is still a chance that you can easily recover your lost password, as long as the password is stored in your computer by the email software or by the Web browser that you use. There are 2 freeware utilities that can help you to recover your lost Gmail password: Mail PassView to recover the password from popular email clients, like Outlook and Windows Live Mail, and WebBrowserPassView, to recover the password from your Web Browser. Mail PassView: If you use a popular email software to receive and send messages on your Gmail account, like Outlook, Outlook Express, Windows Live Mail, or Thunderbird – You can use this utility to recover your Gmail password, assuming that you allowed your email software to save the password. In order to use this utility to recover your password, download Mail PassView from directly from this link. After you download it, open the zip file and run the mailpv.exe executable. Be aware that because this utility can extract password from your system, your Antivirus software may display an alert and even block you from running this .exe file. WebBrowserPassView: If you use a Web browser (Internet Explorer, Firefox, Opera, or Google Chrome) to login into your Gmail account, This utility can help you to recover your lost Gmail password, assuming that you chose to remember this password. In order to use this utility to recover your password, you can download it directly from this link.After you download it, open the zip file and run the WebBrowserPassView.exe executable. Be aware that because this utility can extract password from your system, your Antivirus software may display an alert and even block you from running this .exe file.After running WebBrowserPassView, the main window displays the list of all passwords stored by your Web browsers. Posted by NirSoft on June 8, 2011 at 11:48 am under NirSoft Tips. If you can’t remember the login password of your facebook account, there is still a chance that you can easily recover your lost password, as long as the password is stored in your computer by the Web browser you use. 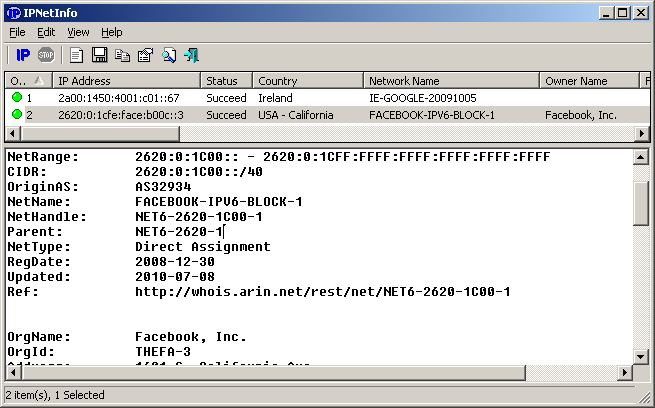 You can try to recover your facebook password by using the WebBrowserPassView utility. 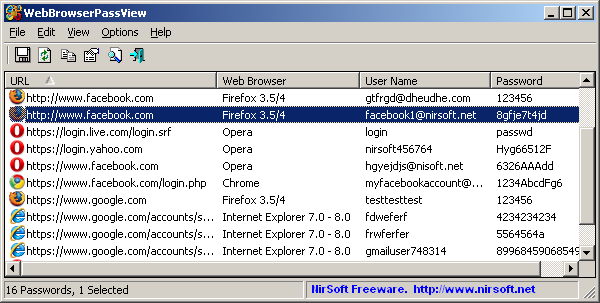 This utility can recover the password from 4 different Web browsers – Internet Explorer, Firefox, Opera and Google Chrome. You can download this utility directly from this link. After you download it, open the zip file and run the WebBrowserPassView.exe executable. Be aware that because this utility can extract password from your system, your Antivirus software may display an alert and even block you from running this .exe file. If you can’t find any record with facebook link, your facebook password is probably not stored by your Web browser. Also, be aware that WebBrowserPassView cannot locate your password if it’s protected by a master password, or if it’s stored by a Web browser other than Firefox/IE/Opera/Chrome. Posted by NirSoft on June 8, 2011 at 11:46 am under NirSoft Tips.